Who We Are What is ZK? You do excellent work. You have a long history of satisfied customers. Now you want to enter the Federal market or perhaps tackle a new office or foundation. How do you use your limited marketing resources wisely? We provide business development services to small and medium sized firms in the federal and non-profit sectors. We can help you sharpen your development strategy and improve your capture process in order to increase your win rate and revenue stream. Here are three ways we can help you up your win rate right now. Every small business is looking for ways to expand or diversify their funding streams. What are the best practices for researching, qualifying and pursing new business in the federal government? 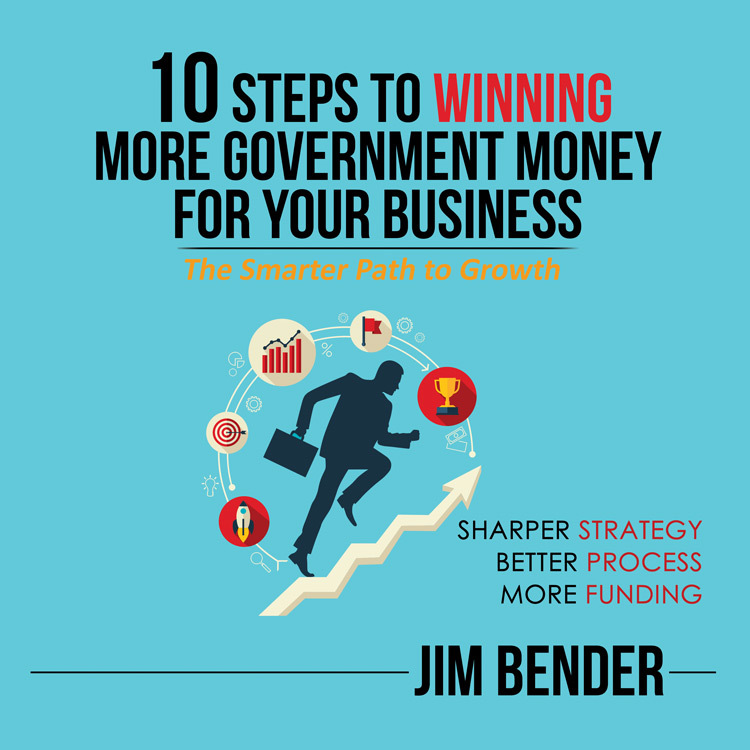 Federal contracting executive, Jim Bender provides 10 tips to business owners in his recently released book on business development. Getting visibility and name recognition for your company is key to securing business. People do not like to buy from strangers, especially risk-averse federal employees. Check my recent webinar and the blog post on how to get calls from feds returned! Despite what you may have heard, it is perfectly legal for contractors to talk to government buyers about a future procurement. In a second webinar I provided tips on how to work with federal partners to write a better RFP and slant it in your direction. Prefer to read about it? Here is the blog post. Sign up with your email address to receive news and updates from ZK Development Solutions.